We consider tools for developing information systems with use of Model Driven Architecture (MDA) and Linked Open Data technologies (LOD). The original idea of LOD is to allow the software designers to develop program systems integrated by means of common ontologies and web protocols. MDA Platform Independent Model (PIM) is expressed as set of UML diagrams. PIM forms a LOD graph and its namespace. All the PIM entities are defined as ontology resources, i.e. with URI references to LOD terms. This allows us to translate PIM UML model to a set of triples and store them in an ontology warehouse for further transformation into a Platform Specific Model (PSM). The ClioPatria ontology server and the SWI Prolog language are used as tools of PIM and PSM storage, querying and processing. The tools will allow us to mediate the MDA static means of code generation and configuration at development stage with the techniques of flexible data structure processing at run time, thus, producing even more productive information system development and maintenance techniques. This research corresponds to nowadays direction of Semantic Web Software Engineering. The results are obtained with the partial support of the various projects: Irkutsk scientific center of SB RAS No 4.2; The Council for grants of the President of Russian Federation, state support of leading scientific schools of the Russian Federation (NSH-8081.2016.9); Russian Foundation for Basic Research, grants 17-07-01341, 18-07-00758 and 17-47-380007. 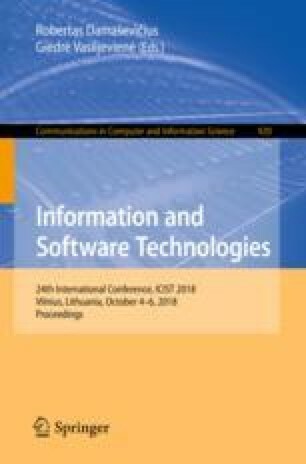 The results obtained with the use of the network infrastructure of Telecommunication center of collective use “Integrated information-computational network of Irkutsk scientific-educational complex” (http://net.icc.ru). The authors are grateful to the community of Linked Open Vocabularies (http://lov.okfn.org/dataset/lov/) resource for assistance in the search for domain ontologies and github.com for hosting sources at https://github.com/isu-enterprise/icc.xmitransform.